These days everyone prefers responsive websites over normal websites due to the vast number of web browsers utilize portable devices over pc of stone-age. This type of designs makes websites the modern design make them look beautiful on multiple devices. Global India Technologies makes sure you get the best of us. Our web designing team plans and designs stunning responsive website templates or themes for any type of business as per the client’s requirements. We make sure to increase the conversion rates and improve your web traffic with our beautiful designs. Our designs look beautiful across all the devices with all types of screens such as computers, tablets, phones, with different resolutions etc. Your website will be made for the future mobile web. A responsive website is the one which can adapt itself to any type of device owned by each unique visitor. Whether it is a desktop, a tablet or a smart phone, the website fits into it perfectly using fluid dimensions. The website resizes its content and images for different types of screen sizes to make sure that it is much effective and can be easily used in any device. Why should you prefer A Responsive Website? These days, smart phones and portable device usage rate is growing with time rapidly which results in high demand in responsive web designs. A website which is not optimized for mobile use can make many visitors leave the site and as a result you may lose many opportunities and business. Outstanding responsive designs which fit well for a desktop and even a mobile phone can bring great changes to your business. These are much efficient and cost effective too. In order to get good results in mobile search, you will need a responsive site. 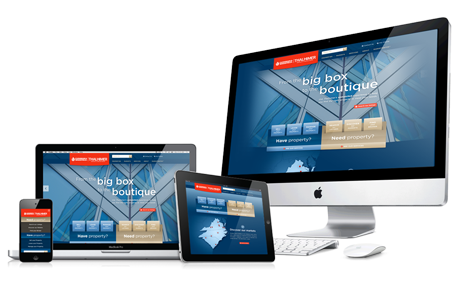 Prefer responsive website if your business website needs to be both mobile and search engine friendly. Providing a dynamic and single version of your website for both mobile and desktop visitors can make many things easier hence overall growth in website traffic. It will make search engines easier to understand your content well and serve it to the users.